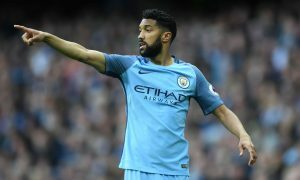 Gaël Clichy is inching closer to a new adventure in Turkey, but it may not be with Fenerbahçe, despite claims from L’Equipe that he was in advanced talks to join the club in a three-year deal. According to information obtained by Foot Mercato, the 31-year-old instead prefers to join Fenerbahçe’s fierce Istanbul rivals Galatasaray and has agreed, in principle, a three-year deal with Igor Tudor’s side. Some details are still to be settled, but the main outline of a deal is done. Nothing is definite yet, but it is reported by journalist Aurélien Léger-Moëc that Galatasaray are hoping to announce the outgoing Manchester City left-back in the next few days. Liverpool, Bordeaux and Napoli have also been linked with the former French international, who was one of five veterans release by Manchester City this summer.